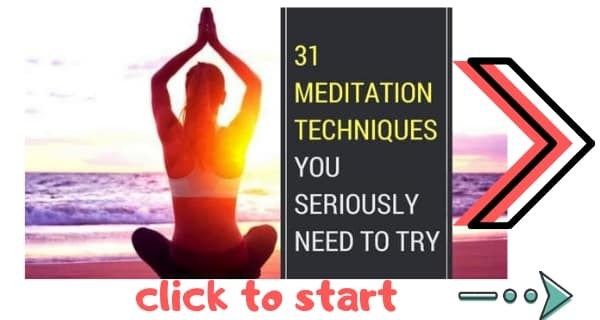 In this guide you’ll learn 31 traditional meditation techniques from yoga, Buddhism, Hinduism, Christianity, and some non-religious meditations too. I recommend reading my beginners guide to meditating properly before you actually use these meditation techniques. That way you will know how to do the techniques correctly. You might also like to read my list of top meditation books to help you learn more. In this guide we will look at meditation techniques beginners can do, and many advanced meditation practices too. And we’ll see the benefits of those different meditation techniques. 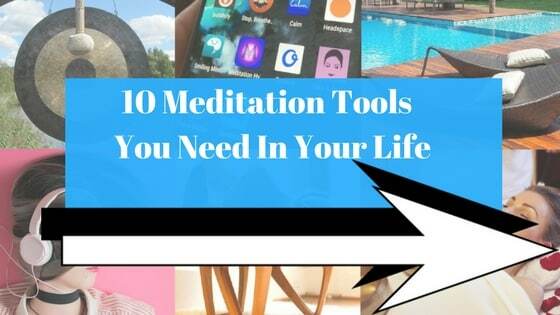 I’ve also created a list of the best meditation tools to help you to improve your practice. When you start meditating, you get so many health benefits it’s crazy. But you also get a ton of personal benefits too. Meditation gives you peace of mind, happiness, and personal strength. And it helps your body to perform at its optimum. Of course, to get the most out of meditation you need to know how to meditate properly. That’s where this guide comes in. This article is going to be one hell of a journey. Our journey will lead us through 31 of the best meditation techniques, from beginners to advanced meditation practices. We’ll learn how to do meditation, which forms are best, and so much more. And not only will we learn how to meditate, we will also learn the culture and history of meditation. We are about to walk through the complete history of meditation so you will literally learn all the most important forms of meditation ever devised. New to meditation? This guide will get you started on the right foot. Looking to advance your current knowledge of meditation and learn new meditation techniques? This guide covers every major meditation technique that exists. We’ll look at easy meditation techniques, advanced ones, Buddhist, Christian, Hindu, Taoist, New Age, techniques for atheists… everything. And if you’re a meditation teacher you’ll be able to check your knowledge and use this guide as a quick resource. In this guide are links to tutorials on the individual meditation techniques. If you see a technique you like the look of, click the link and learn all about that technique. My book, Your Best Meditation covers every major meditation technique in depth. It is the best way to learn how to meditate properly. My passion has always been to inspire and teach people to meditate. Those of you who have read it know precisely how passionate I am about meditation. From an early age I knew the importance of meditation. And I’ve seen firsthand the difference that mindfulness can make to our lives. My purpose on this blog is to encourage as many people as possible to start meditating and to transform lives in the process. I’ve put all my love, knowledge, and hard work into my book. 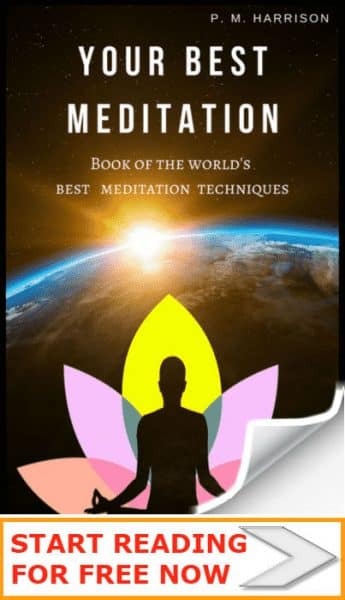 It is the perfect book for anyone who want to learn different meditation techniques. Why not read it today. I’m about to share with you everything you need to know about these different meditation techniques. There are tons of great articles that explain how different meditation methods work (Read: How It Works). Thanks to those article we know the who, what, when, where and why of meditation. Meditation is a mental exercise that trains your mind to focus on one or more elements or objects. A very simple practice, meditation has been used since 5000 BCE. It is mostly used in Buddhism, Hinduism, Taoism and Yoga. But (important point) it’s also a non-religious health practice. Some people call meditation mindfulness.This, however, is ambiguous, as we will see later on. But you can make meditation even easier than this. The one universal constant between all different forms of meditation techniques is that we focus on something. “Watching your breath” is meditation; listening to the birds is meditation. As long as these activities are free from any other distraction to the mind, it is effective meditation. In other words, meditation is focus. Just as you can focus on lots of things, you can meditate on lots of things too. The trick is knowing what is worth focusing / meditating on. And this is why there are so many different meditation techniques: Because they all focus on a different thing. Meditation is focusing on one or more things. You could potentially meditate on anything. There are specific objects that are good to meditate on. The best meditation techniques are about focusing on the right thing. The object we meditate on makes all the difference. Because different objects create different results. Why does the object matter so much? Because to meditate on an object is to put it in your mind. What you meditate on enters your mind just like food enters your body. If you eat junk food you’ll be unhealthy physically. If you focus on garbage you will be unhealthy mentally. Focus (meditate) on healthy objects and your mind will become healthy. There are breathing meditation techniques that focus on the breath. The most popular meditation object is the breath, but we can also meditate on the sky, water, music, the body and more. Want to know more about meditation objects? Take a look at this guide to Samatha meditation technique. Samatha is a meditation all about focusing on different objects, so have a read of that article to learn more about objects in meditation. Here’s where things get spicy. As well as focusing on different objects we can also focus in different ways. And when you focus in a different way, you change the core method of meditation. This will become clear in a sec’. Because there are different ways to focus, there are also different ways to meditate. You can read all about the 3 Focusing methods here. We can focus on one single isolated thing. And we can meditate on one thing at a time. Psychologically speaking this is Focused Attention. We can focus on a mental image. And we can meditate on a mental image. Psychologically speaking, this is visualisation. Those three ways of focusing are the foundations for all different meditation techniques. There are open-awareness /non-directed techniques, focused techniques, and visualisations. And these are the basis of virtually all different types of meditation. See how much we’ve learned already? We now know the basics of meditation. We know it’s about focus. We know we can focus in different ways, and therefore we can meditate in different ways. And we know the key to success is choosing the right objects to meditate on. Let’s kick this thing into gear. Time to look at actual meditation techniques. One of the main types of meditation technique is open monitoring or “non-directed” meditation. In open monitoring exercises the mind is “open”. Not open like momma’s favorite tin of biscuits. Open like a window that lets all things enter. When you perform an open meditation technique you do not focus on one singular thing. You’re not focusing on the breath or on a sound. Instead, you are aware of the totality of existence. You are aware of your thoughts and feelings, physical sensations, and all the information that comes to you by way of your senses (sound, smell, taste etc.). You non-judgmentally observe the world, allowing your focus to extend to everything in your environment. Do you remember the most chilled-out moment in your entire life? Maybe you were lying down on a beach with the sun shining on you. Or maybe you were lying down in bed after a truly satisfying day. Or perhaps it was after a perfect romantic evening. Cast your mind back to that time and remember the feeling. Do you remember how you felt as though you were one with the world? You were inwardly still and silent, and the whole world came to you. Open meditation is where the mind is open to everything. A definition of open awareness is: not intentionally focusing on one thing, and instead, opening the mind for the whole world to enter. One of the best open awareness activities is to simply gaze up at the sky, silence your mind, and let the day in. You should feel as though you are not intentionally focusing on anything. Everything is entering your mind freely. Close your eyes and do not think about anything. Let the whole world come to you. Continue to let the whole world in as you take 25 deep breaths. That’s open awareness meditation. Doesn’t it feel O’ so relaxing? One of the most popular kinds of open-monitoring techniques is Acem meditation. How to do, the benefits, and instructions etc are available via the official site. Acem is a modern techniques and there are has been much scientific research into Acem. Studies show that Acem meditation is good for stress and relaxation. (For more on the benefits of Acem, see the previous link). Open meditation techniques are relaxing. They make you feel free. Like a butterfly arising from a chrysalis to take flight into the world, the mind is freed from its usual shackles of thoughts and stresses, freed to take in the fullness of existence. I personally practice open meditation techniques early in the day. I find this is a very good way to start the day positively and mindfully. I’ll practice open monitoring before sitting down to write. It’s like I’m allowing the world to come to me while exercising and warming-up my creative mind. By spending twenty minutes opening my mind and boosting my creativity I ensure that my creative juices are flowing for the whole day. So, creativity is one benefit of open monitoring meditation. There are lots of benefits too. If you have been struggling to let go, you will find open awareness meditation incredibly liberating. Give it a go. Let me know how you get on by writing a comment at the bottom of the page. So that’s the first of our meditation techniques. And already you have a powerful way of opening your mind and boosting your flexibility. And we’ve still got 30 techniques to go! The next form of meditation is focused attention. Let’s return to what we were saying about focus. We previously said that the mind may be open to take in the whole world, but it may also be closed to focus on just one object. That’s why alongside open meditations we have the other type of meditation technique: focused attention meditations. This old Zen proverb reminds us to focus on what we’re doing right at this very moment. It is a simple but important lesson that is taught through closed meditations. Basically: focus on one thing. And just do that one thing, nothing else. If open monitoring is like the light-bulbs in the ceiling, closed meditation techniques are like flashlights, a one directional source of light. When we perform “focused attention” we focus on one thing. We may focus on a mantra, a physical object, on the breath, on meditation music, on mental imagery (visualisations)… We may focus on any one single thing, and in so doing we will be performing a closed meditation. This is the most popular type of meditation technique. There are far more focused attention activities than open monitoring activities. These techniques are super-powerful. You know what Spinach does to Popeye? That’s what focused meditations do for your mind. Would you believe that there are over a hundred different benefits of focused-attention meditation? So what do focused-meditations do for you? Depends on the specific technique. Some meditations boost positivity and happiness, others cultivate compassion, others can cure illnesses, some stop stress, anxiety and depression… some help with serious mental health conditions like OCD and ADHD. Different techniques help us in different ways. That’s why it is a very good idea to practice lots of different forms of meditation. The more forms you use the more benefits you will see. And as though by some divine miracle, that’s why you should try all the techniques in this tutorial. As well as open monitoring and focused attention there is effortless presence. This one is a yoga technique. Effortless presence means existing without effort. In other words: not consciously directing your focus, just existing, as though empty but aware. Think of this as simply giving in to reality. You are completely giving up control and letting the universe take over. This is very similar to open-monitoring and offers most of the same benefits. Right then, maties, where are we? These are the three main psychological definitions of meditation. Think of them like different kinds of cars. You can have sedan or an SUV, but there are lots of different variants within those groups. The same is true for meditation. The three forms we have looked at are the top-level groups. But within those groups are very many specific techniques. We’re going to cover those techniques now. We are now going to pack our bags and go on a spiritual vacation. What am I talking about? We’re about to travel through the cultural evolution of meditation. No one online has ever covered meditation in this much depth. EVER (honestly, find an article as in-depth as this one and I’ll give you a free cupcake). We are about to have one hell of a journey. You are about to transform your life by learning all the best meditations. For over 3000 years meditation has been taught as a way to boost happiness; find enlightenment; stop stress anxiety and depression; and achieve total health. The traditional meditations used in Buddhism, Taoism, Yoga and other spiritual systems are truly powerful. And you’re about to learn all the best traditional meditation techniques. Plus, you’re going to learn the history and culture of meditation, too. One of the best things about studying different types of meditation is the sheer amount of culture involved. Digging into classic texts and reading the words of masters like Lao Tzu, Thich Nhat Hanh and Osho is a real pleasure that should be enjoyed alongside studying meditation. The core of the tradition is found in the ancient texts. It’s in the ancient classics like the Bhagavad Gita, the Vimalakirti Sutra, and the Pali Canon, that you’ll find the roots of this ancient technique. Like the trunk, branches, and leaves of a great tree, the practice of mindfulness has grown over countless years, but its roots are still anchored in the ancient texts, among the fertile soil of ancient Eastern culture. It’s here our adventure begins. We’re going to travel through the different cultures of meditation. And as we do we will look at the most important meditation techniques ever. So while you learn the history and culture, you will learn techniques to become the master of your own mind. My Ultimate Buddhist Plan For Beginners is the perfect place to start! Let’s travel to Tibet and take a look at Buddhist meditation techniques. Most of the different types of meditation techniques practiced today come from the tradition of Buddhism. That’s why it is worth learning the background of traditional Buddhist meditations. If we’re going to truly understand Buddhist methods we need a little bit of background info. We need to consider the Buddhist belief system. These three types of training are the pathway towards enlightenment, and each one is essential. Meditative training (Samadhi) is taught alongside ethical training (Sila and Panna). Where do Buddhist ethics come from? They’re based on the “Noble Eightfold Path”, which is the “way” towards enlightenment. Strictly speaking, if you want to train in Buddhist meditation you should train in those points above, too. Here are the most important Buddhist methods. Just as there are lots of forms of Buddhism, there are lots of forms of Buddhist meditation too. Some of the different types of meditation techniques are used by all Buddhists. These include recollections and breathing meditations. Other Buddhist methods are used by only specific Buddhist schools. The Theravada tradition alone incorporates more than one hundred meditation methods, the majority of which revolve around mindfulness. Contrastingly, the Tibetan tradition uses over a thousand different visualisation meditations. Because different teachers have been taught at different schools, the majority of the time when you attend a Buddhist meditation class the teacher will mention that they’re a specialist of one of the many different Buddhist schools. The Dalai Lama, for instance, teaches Tibetan Buddhism, where Thich Nhat Hanh teaches Zazen (Zen). So if you’re going to find a meditation teacher, make sure they are from the right Buddhist school for you. What is the Buddhist word for meditation? It is Jhana / Dhyana or bhāvanā. Bhāvanā can be translated to mean “Developing into existence”. Dhyāna refers to the practice of focusing the mind, which is done to achieve enlightenment. Buddhists meditate in order to achieve enlightenment. Enlightenment basically means “Release from the self”. When we look at the Buddhist methods, remember that these were originally conceived as a path to enlightenment. Now let’s take a look at specific Buddhist meditation techniques. Learn it properly in my free guide to Zen. Zazen (Zen) comes from the tradition of Chinese Zen Buddhism, which began in the 6th Century. Zen is usually practiced sitting on the floor on a mat or pillow, traditionally sitting in the lotus position with the legs crossed. In this position, we focus either on the breath or on the pure act of sitting, both of which cultivate mindfulness. These techniques help us to live in the moment with pure awareness. The practice of Zen meditation or Zazen is at the heart of the Zen Buddhist experience. Originally called Dhyana in India, Zen meditation is a very simple yet precise method, where the correct posture is imperative. The practice of Vipassana meditation began back in the 6th Century during the time when Mahayana Buddhism was expanding through the East from India to South East Asia. The word itself, “Vipassana”, is Pali for “clear seeing” or “insight”. Specifically, Vipassana leads to awareness of what Buddhists call “the three marks of existence”— the three characteristics shared by all sentient beings, namely impermanence (anicca), dissatisfaction (dukkha), and non-self (anattā). In Vipassana meditation we focus on breathing and we extend non-judgmental awareness to the inner workings of the mind. This process helps us to achieve great understanding of ourselves and of the mind. Learn it properly in my free Mindfulness guide. Mindfulness meditation is the single most popular meditation technique for beginners. My definition of mindfulness is very simple: Mindfulness is the gentle effort to be continuously present with experience. Because mindfulness has gone through such a process of evolution there is actually some confusion as to precisely what the term means today. There is the strict Buddhist meditation called Mindfulness, which is about mindfully observing the workings of the mind. There’s also the modern term mindfulness, which means living in the present moment. Then there’s Mindfulness Based Stress Reduction, which was founded by luminary Jon Kabat Zinn in 1979. These three share a similar theme though. They are all about observing the present moment. Learn it properly in my Loving Kindness guide. Loving Kindness Meditation technique is also called Metta. Metta is a Pali word meaning good will and benevolence. In the Tibetan and Theravada Buddhism traditions, Loving Kindness Meditation is practiced in order to develop compassion and warm feelings, which leads us to feel much closer and more connected to other people. Loving kindness is my favorite technique. Why? Because it creates feelings of love and compassion, and it boosts your social and personal life too. Are Buddhist meditations techniques best for you? In Buddhism, Jhana (meditation) is inseparable from philosophy. The purpose of Jhana is to cultivate the right mind, which ultimately leads to enlightenment. This is why Buddhist Jhana is best practiced by those who believe in the Buddhist belief. By understanding the principles, theories and philosophies of Buddhism you can gain a much deeper understand of things than by simply meditating. If you just want to learning the meditation techniques, that’s fine too. Buddha himself said that people should feel free to take his teachings and use them in their own way. Buddhist meditation techniques can be practiced in order to cultivate positive mental states. You can also use Buddhist meditation practices to help with health problems. So they are good to practice even if you’re not interested in fully committing to the true practice of Buddhist meditation. Are Buddhist meditation techniques best for you? Yes if you want to improve your mental health. And doubly yes if you want to learn Buddhist philosophy at the same time. Let’s travel to India to take a look at the Hindu types of meditation practices. Hinduism is the world’s oldest religion and was one of the most important factors in the creation and development of meditation. My friends and acquaintances often debate among themselves as to which religion, Hinduism or Buddhism, actually created meditation (it’s a fascinating conversation). Some argue that Buddha was born a Hindu and was familiar with Hindu practices, so therefore the practice of meditation derives from Hinduism. Others argue that meditation as we know it was not created until the beginning of Buddhism and is therefore a Buddhist practice. What do you think? Write a comment at the bottom. Either way, there are a great many similarities between Hindu and Buddhist forms. And the two can readily be used together. Let’s take a look at the most important Hindu methods. Learn more in my Dhyana tutorial. In Hinduism meditation is called Dhyana or Jhana. If you have ever spoken to a Hindu meditation teacher you will likely have heard them discussing how to use Dhyana. achieve mokṣa, which is the highest achievement, the liberation of self from the perpetual cycle of death and rebirth. Hindu meditation techniques first appeared in the classic text the Upanishads, a collection of dialogues between Hindu sages and their students. In these texts, sages discuss meditation as being “deeper concentration of the mind”. The sages say it leads to “great self knowledge and liberation from the illusion of Maya, the illusion of the material world”. Hindus believe that the gods can make a person believe in a reality that is actually an illusion (Maya). Meditation let’s us escape Maya. One of the most important of classic texts is the Bhagavad Gita. The Gita is a narrative that shows a dialogue between Pandava prince Arjuna and his guide and charioteer Krishna. In the Gita, Arjuna is faced with a duty to fight the righteous war between two opposing sides, the Pandavas and the Kauravas. It is this dialogue that introduces the Dhyana Yoga system, the Hindu meditation system that synthesises Dharma (the Hindu order) with Bhakti (faith and worship). Dhyana Yoga (meditation) is the seventh and penultimate limb of the Eight Limb path of Hinduism. It is preceded by Dharana and followed by Samadhi. These three (Dhyana, Dharana, and Samadhi) form the Samyama, the Hindu process through which the mind is liberated from the physical world. One of the most important Hindu meditation techniques is Dharana. In Dharana, we focus the mind and sight between the eyebrows. This develops concentration. While focusing on this fixed spot, energy enters the mind. This energy gradually builds and the focus intensifies, leading to meditation and the state called Samadhi, a point of extreme concentration. Dharana is different to other methods of meditating. When we practice dharana we are not aware of the fact that we are meditating. We are only aware of our own existence and the object on which we are meditating. This creates a powerful sense of oneness. It is a beautiful and powerful experience in which nothing exists but the individual and the object of meditation, fused as though they are one. Read my guide to Mantras. One of the most popular types of meditation for Hindus is mantra meditations. These involve the recitation of specific words or sounds. If you visit India during a religious celebration such as Krishna Janmaashtami, (the festival which celebrates the birth of Krishna) you will hear Hindus reciting mantras throughout the night, showing devotion. Different mantras are used to worship different Hindu Gods, and mantras can also be used to create certain benefits. Those benefits range from love to happiness to inner peace to wealth and so on. It is believed that these mantras work via energy resonance. Because different sounds occur at different frequencies, we can control the frequencies in our bodies by reciting mantras. It is worth noting that mantras do not have to be used expressly for worship or for specific ambitions. They can also be used for pure relaxation. Mantras are one of the best beginners meditation techniques. The act of reciting a mantra gives the mind something to focus on, which helps us to stay with the meditation as opposed to being lost in distractions. The Sanskrit term Atma Vichara refers to a type of meditation known in the west as Self Enquiry. This meditation is used to gain understanding of our true nature and to discover the true self. If you’ve ever asked “Who am I?” then this is one type of meditation you should definitely consider. Self Enquiry began thousands of years ago and is mentioned in Hindu classic texts. But it became more popular when it was advocated by an Indian sage called Ramana Maharishi. Eckhart Tolle then taught millions the art of Self Enquiry in his book The Power Of Now, which led this technique to become quite common in the West. Do you feel the pure energy creating that thought of “I”? Rest in that pure energy as you take 50 breaths. This is a very liberating and enlightening exercise. Are Hindu Meditation Techniques Best For You? Hindu meditations are one part of a very rich tradition and culture. If you are going to learn Hindu meditation techniques correctly, you should learn it alongside that culture. While some Hindu meditation techniques (mantras, for instance) can be learnt quite quickly and easily, others (like dharana ) are harder to learn and are not ideal for beginners. Or use specific Hindu methods for health and relaxation. Let’s take a look at the meditations used in yoga. Yoga stems from Hindusim, and there are a great many yogic types of meditation, dating back to 1700 B.C. Yogic meditation techniques aim to create enlightenment and self knowledge, and they form just one part of a much larger discipline. and contemplation (pratyahara, dharana, dhyana, and samadhi). Interested in learning yoga meditations? Here are some of the most important forms. Trataka is steady gazing. It’s a yogic meditation form that we can immediately see the benefit of. When we are anxious or when we have monkey mind our eyes dart about, looking in all directions. So what happens when we have still eyes? When we focus our eyes on one thing we develop concentration. And that is the purpose of trataka. Trataka is usually practiced focusing on a candle. A popular alternative is to write OM on a piece of paper, put it a few feet in front of you and focus on this. Still eyes = Still mind. Meditate on the candle for few minutes. Close your eyes. You will see a reflection of the candle behind your closed eyes. Meditate on the image of the candle behind your closed eyes. Try to keep the image the same. Do not let the image fade. This is a powerful meditation for concentration. Read my complete guide to Chakra technique. The seven chakras are energy points in the body through which prana passes. Each of the seven chakras is associated with different mental strengths. For instance, the sacral chakrais connected with the basic emotions. Meditating on this chakra created emotional balance. By activating and balancing these chakras can achieve many health benefits. There are many different types of chakras meditation. One of the most important follows next (Third Eye Meditation). Learn the Third Eye method here. The third eye is the source of insight and intuition. Activating the third eye opens up parts of the mind that are often dormant. So if you want to know your true potential, you need to open your third eye (“Ajna”). But how you gonna do that, Grasshopper? The best way of opening Ajna is to use the Third Eye Meditation. This technique involves focusing on the spot between the eyebrows. It is one of the most important meditations in yoga. You remember when I promised you some advanced forms of meditation? Well this is definitely one of them. The purpose of kundalini methods is to awaken the kundalini energy dormant at the base of the spine. This activates the psychic centres of the body and ultimately leads to enlightenment. That’s because Buddhists also meditate to achieve enlightenment. This a dangerous meditation technique. I really wouldn’t want any of my readers to practice this without guidance. Please find a teacher if you want to try the Kundalini forms. Kriya Yoga is a group of meditations and breathing exercises taught by Paramahamsa Yogananda. You can take free lessons in the self realisation techniques of Kriya over on Yogananda. Take a look. Nada Yoga are meditations focused on sound. In the early stages of Nada Yoga we focus on external sounds like ambient music. The practice hear is to just listen in a meditative way. Sit comfortably somewhere peaceful. Crossed-legs position is best. Keep your hands on your knees. Close your eyes and focus your breath. Move your focus from the music to your own inner sound. Rest in this state of meditation. >Stay in this state for 10 minutes. Advanced Nada Yoga has us listening to the internal sounds of the body and mind. When we practice Nada Yoga we are training the mind to hear para nada, the “Ultimate Sound”, which manifests as OM. Tantra? You mean the sexual practice? Tantra actually has a lot less to do with love making than pop culture seems to think. Tanta is a very rich tradition full of lots of different practices for mind, body and soul. To give you an idea. One of the main tantric texts is the Vijnanabhairava Tantra. That one text contains 108 meditation alone. Lots of them are advanced meditations not suitable for beginners. Focus on the space between thoughts. Merge the mind with the spiritual heart. Meditate on pain (Buddhist’s actually do this too). Notice how these tantra techniques are quite poetic? They’re advance methods of meditation not suitable for beginners. Pranayama is the meditative style of breathing performed when doing yoga. Pranayama and meditation are actually different things. The best way to think about pranayama is that it is a gateway toward the meditative state. Because pranayama does not technically belong in this list, I won’t go into detail here. Similar is the Tibetan pranayama technique Nine-Round breathing. Are Yoga Meditation Techniques Best For You? Yoga meditation techniques are best for people who already practice yoga. Some yoga meditation methods are easy and suitable for beginners, where others (Kundalini, for example) are more advanced meditations. Most people find the best yoga meditation techniques are the simple ones, such as focusing on pranayama while exercising, or doing mindful breathing in Savasana after your meditation practice. Learn absolutely everything you need to know about Taoist methods. Daoism / Taoism was started by Lao Tzu in the 5th Century BC. The Taoist code advocates living in harmony with the world, with nature, and with the Tao—the “path”. In the 6th Century, Lao Tzu wrote the classic Tao Te Ching. In this classic text Lao Tzu gave the first description of Taoist types of meditation. These techniques gradually evolved, most notably in the 8th Century, when Daoism came under the influence of Buddhism. Daoist types of meditation focus on the creation and circulation of energy, Qi, which promotes health, harmony, and unity of body, mind and spirit. In Chinese culture, Qi is the principle energy that gives life. Most Chinese spiritualities and exercise involve the creation and circulation of Qi. Most Westerners practice Daoist meditations methods for longevity and health. Let’s zero-in on the most important Daoist meditations. In emptiness meditation we sit silently and empty the mind of thoughts. You remember when we discussed Effortless Presence earlier in this article (meditation #3 above)? Emptiness is similar. Emptiness meditation. creates a state of tranquility, allowing the body and mind to repair themselves and to restore Qi. Daoists call breathing meditations “Zhuangi”. And they use Zhuangi to unify mind and body with qi. Breathe deeply, then it will collect. When it is collected, it will expand. When it expands, it will descend. When it descends, it will become stable. When it is stable, it will be regular. When it is regular, it will sprout. When it sprouts, it will grow. When it grows, it will recede. When it recedes, it will become heavenly. The dynamism of Earth is revealed in the descending. Follow this and you will live; oppose it and you will die. In this type of meditation the practitioner visualises the inside of their body and mind, including their organs, “inner deities”, thoughts, and qi. This inner visualising is said to develop the knowledge and understanding of one’s own nature. A highly popular exercise in China, the word QiGong can be translated from Chinese to mean “life energy cultivation”. As with most Chinese meditation techniques, QiGong is about creating and circulating Qi around the body and mind. In the West QiGong is currently in popularity. Many health organisations advocate practicing QiGong for the alleviation of arthritis and other health complications. Many spas and gyms run basic QiGong classes that teach a part of the overall QiGong system. Western QiGong is usually a simplified version of the full technique. The full QiGong system that is taught in the East is a complex system involving more than 80 types of breathing and literally thousands of different exercises. Each QiGong exercise and technique offers different spiritual and health benefits and all have a specific reason for being. That said, you certainly don’t need to know the precise details of all the moves just to get started. You can readily pick up a QiGong DVD and enjoy a tremendously relaxing routine. Are Taoist Meditation Techniques The Best For Me? Taoist types of meditations are excellent for people who believe in living in harmony with nature. They’re also great if you’re interested in improving you health and in gaining extra energy. Some Daoist meditation techniques are quite difficult (QiGong should be learnt with instruction, for instance). Other techniques, like Emptiness meditation, are perfectly suitable for newcomers. Christians meditations have a different purpose to Hindu, Buddhist, and Daoist techniques. In the East, meditation is about purifying the mind, transcending the self, and achieving enlightenment and oneness. The largest Western religion, Christianity, does things a little differently, albeit with somewhat similar results. Christians practice different types of meditation techniques primarily as a way to be closer to God and to understand the bible better. One of the most popular meditation exercises for Christians is to take a passage of the bible and to meditate on it contemplatively. This is calming and can certainly have many positive results like developing depth of character and positive traits. Meditatitve prayer is a type of meditation that Christians use for contemplation. When praying in this way, we repeat the words of a prayer in a similar fashion to fashion to repeating a mantra (though, arguably, without the energy resonances that mantras produce). To do this, choose your favorite prayer and recite it like a mantra, meditating on both the meaning and sound of the words. Meditating to God is another popular type of meditation for Christians. In this exercise the individual opens their heart to God and asks to be made one with God (which is similar to the Buddhist technique of Bhakti). Are Christian meditation techniques best for you? Christian meditation is really meditation that has been adapted for integration into the Christian faith. If you’re a Christian, definitely use meditation. The bible is loaded full of references to different meditative techniques. These offer a way of increasing your connection to God. Guided meditation can be seen in the Buddhist and Chinese traditions. For instance, Neiguan is a Chinese form in which we visualise the inside of the body. Guided meditations have really taken off recently. They have achieved stratospheric popularity in the West since the rise of the New Age movements and self help / personal development. Guided meditations are now one of the absolute most popular types of meditation. Simply hit up Youtube and you’ll find thousands of free guided meditations (of varying quality). Part of the reason why visualisations have become so popular in the West is because they are so easy. What could be easier than lying back, closing your eyes and listening to someone reading a relaxing meditation script? But the ironic thing is that the very fact that guided meditations are easy makes them less effective than most other meditation techniques. When you do a guided meditation you’re not really training your mind. So while guided techniques are fantastic for relaxation, they are not as effective as traditional technique when it comes to actually training the mind. The mind is like a muscle. To grow strong it needs to be exercised. Guided meditation can relax the mind, but it is not true “exercise”. It will not train the mind like traditional meditations do. Guided meditations and visualisations are still beneficial. Professional athletes use visualisations in their training to prepare themselves. Stressed businessmen use visualisations to relax their minds after a hard day’s work. I personally have used visualisation to quit smoking years ago and also when preparing for stage shows. And I’ve given visualisations to many people who either wanted to be taught to think of something in a different light or to prepare for something they were stressed about (exams, for instance). Let’s look at the most important types of guided meditations. Body scans are one of the most important types of guided meditation. Body scans are a good way to become mindful of your body. This is one type of visualisation that I personally do advocate. The technique involves passing your focus around your body. This heightens the mind body connection and is a great way to get back in touch with your body. 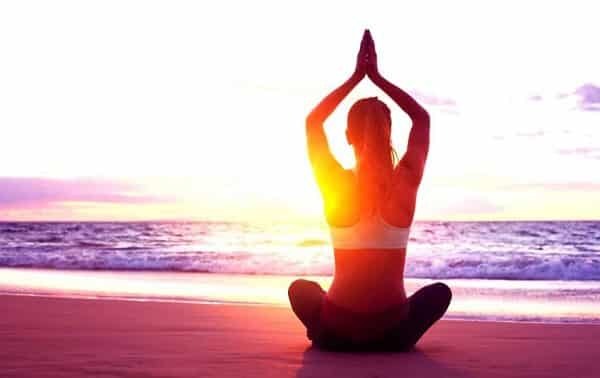 If, for instance, you’re trying to find the motivation and energy to get back into exercising, body scan meditation can help to inject energy into your body, naturally motivating you to use your body more. Another popular type of guided meditation is Affirmations. Affirmations involve reciting a positive message in your mind while seeing a certain image. I once taught an affirmation to a lady who was dealing with an alcoholic husband. She was fighting to preserve her inner peace (well, her “sanity”, as she called it). I taught her to use the affirmation “Calming, letting go” while visualising stress dripping off of her body like beads of water. This simple technique gave her a way to essentially teach her own mind to let go of the stress, helping her to relax. Affirmations are very popular in the self improvement niche. In 1839, physicist Heinrich Wilhelm Dove created Binaural Beats. Dove learnt that when two different frequencies of sound are put into each ear the brain detects phrase variation. This leads the brain to try and reconcile the difference between the frequencies. By using the right phase variation it is possible to lead the brain to produce alpha brainwaves (10 Hz), the waves used in most meditation techniques. So if you’re looking for an alternative way to meditate, binaural beats are a good choice. Are guided meditation techniques best for me? If you find meditation difficult at first then guided meditations can be an excellent entry point. Guided meditations are fabulous when you get home from a hard days work and simply want to chill out. Put your feet up on the couch, close your eyes, and let your guide lead you to relaxation. It’s important to know that if you start with guided meditations, the time will come when you need to move on to meditation techniques that require more effort. To build those mental muscles, you need mental exercise. Guided meditations are like taking a casual stroll, compared to the full workout that is a disciplined meditation regime. One of the most influential proponents of meditation in the twentieth century was Chandra Mohan Jain, better known as Osho. Osho was an Indian mystic, guru, and spiritual teacher. Throughout the 1960s, Osho toured India giving inspiring but often controversial public speeches on everything from politics to spirituality. Osho then moved to Bombay in the 1970s, where he became a spiritual teacher and gave exegeses on his interpretations of religions and philosophies. His controversial perspectives and magnetic charisma led Osho to gain notoriety in the West in the 1970s. It was then that his teachings on meditations were translated into English. Among Osho’s teachings was the term “Dynamic meditation” (or “Movement Meditation”). Learn the Dynamic method here. Dynamic meditation is a form of movement meditation that was at first a very specific technique taught by Osho. It has subsequently been amalgamated with other forms of movement meditation. Today, the term “dynamic meditation” is generally used to refer to any type of meditation that involves physical activity (often dance). So what’s so good about dynamic meditation? They’re great for people who struggle to sit still. When Osho created dynamic meditation he did it as a means to make meditation more applicable to modern lifestyles. Osho believed that it is near impossible for the average modern person to enter a truly meditative state. Osho thouht most people have too much mental noise, stress, and thoughts. Ths mental noise makes it hard to focus. That is why Osho created Dynamic Meditation. It is a more active form of meditation, It incorporates dramatic movement that is designed to release tension and inhibition. This helps us to discard mental “noise”. One of Osho’s most popular dynamic meditation techniques is Nataraj, a dance meditation. “Nataraj is the energy of dance. This is dance as a total meditation, where all inner division disappears and a subtle, relaxed awareness remains,” says the official Osho website. Are dynamic meditation techniques best for me? Dynamic meditations / movement meditations offer a different experience to traditional techniques. It’s hard to find many research papers documenting the effects of dynamic meditation, so much of what we know is speculative. But most practitioners agree that movement meditations are energising and that these techniques create a tremendous sense of liberation. Dynamic meditations are, of course, much more active than other meditation techniques, so they are not as easy to perform. These forms should be learnt with the help of a professional instructor. It is worth bearing in mind that although meditation stems from religious practice, they are totally suitable for non-religious types and atheists. Today, meditative techniques are practiced by people of all religions, as well as agnostics and atheists, all around the world. In fact, one of the best things about meditation is that it applies to so many people from all different walks of life. So, bear in mind that while mindfulness is historically tied to spiritualities and religious, it can also be used as a non-religous practice. In this frankly awesome tutorial on meditation we have looked at techniques from all around the world, and we’ve seen what different meditation techniques can be used for. Why not get started with my guide to the basics of practice. It will ensure you start off on the right foot. Which meditation techniques are best for you do? Take a look at The Best Meditation Based On Your Personality Type. Which types of meditation have you tried? What do you think are the most effective types of meditations? I would love to hear your opinion in a comment below. Thank you. Please share on Facebook / Twitter / your own blog. Every time you share one of my articles you let me know I’m doing the right thing, and you motivate me to create more great content. Thanks. Such a great article. I’m a yoga teacher and been meditating for over a year, and never knew that guided meditations ‘aren’t real’. I love them for the great peace they leave me every time, but I’ll definitely start doing different yoga based meditations. Truly a wonderful post I must say. I really appreciate your kind efforts. Can we really use any sought of Affirmations as/in Meditation? Also, is there a posture for Affirmations Meditation? Thanks for a terrific article. It’s very informative and comprehensive. I’m doing the meditation from last months and it helps me a lot. I was looking for some meditation techniques and after reading this I’m feeling overwhelmed. Thanks for sharing! Namaste Paul, this is a fantastic article. I am impressed by the way you provided many techniques, for so many different inclinations that we have. I am interested in Open Monitoring and Effortless meditations. Would you be so kind to reply me if I find more information about those 2 meditations in your book or everything you have written about them it is on this web page? Hi Peter, yes you will find extra info on these and other techniques in the book. Excellent and very useful techniques. Thanks! My pleasure. Thank you for your kind words. I appreciate it. Hope you find the meditations helpful. Hi paul, since last 6 months i am doing Dynamic Meditation. Its great. I can feel changes in my life. I have decided to continue dynamic for next few years. Thanks for sharing such great post.